Σχεδιασμένο για ταξίδια τόσο επαγγελματικά όσο και διασκέδασης, το Hoi An Golden Horse Villa είναι ιδανικά τοποθετημένο στη Καμ Χα, μια από τις διασημότερες περιοχές της πόλης. Το ξενοδοχείο βρίσκεται 1.5km από το κέντρο της πόλης και σας προσφέρει εύκολη πρόσβαση σε σημαντικά μέρη της. Από τη βολική της τοποθεσία, η ιδιοκτησία προσφέρει εύκολη πρόσβαση σε κορυφαίους προορισμούς της πόλης. Το Hoi An Golden Horse Villa προσφέρει άψογη εξυπηρέτηση και όλες τις βασικές ανέσεις στους ενθουσιώδεις ταξιδιώτες. Το ξενοδοχείο σας προσφέρει μια μεγάλη επιλογή υπηρεσιών, συμπεριλαμβανομένων των 24ωρη υπηρεσία δωματίου, δωρεάν WiFi σε όλα τα δωμάτια, 24ωρη φύλαξη, παντοπωλείο, ημερήσιος καθαρισμός. 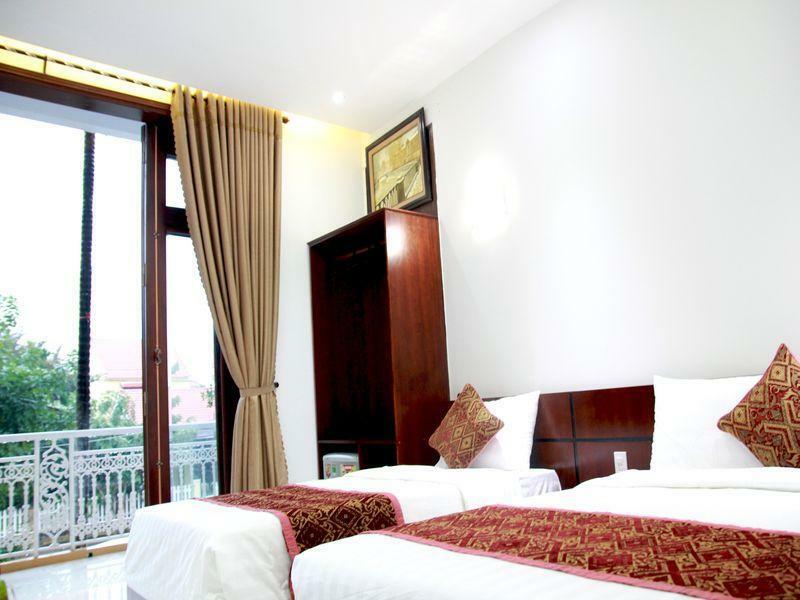 Η ατμόσφαιρα του Hoi An Golden Horse Villa αντανακλάται σε κάθε δωμάτιο. Στην ιδιοκτησία θα βρείτε επίπεδη τηλεόραση, θυρίδα, καθρέφτης, ιδιωτική είσοδος, παντόφλες, καθώς και πολλά άλλα. ΟΙ ψυχαγωγικές δραστηριότητες του ξενοδοχείου, οι οποίες περιλαμβάνουν τις κήπος, είναι σχεδιασμένες για να χαλαρώνετε και να ξεφεύγετε. Έξοχες υπηρεσίες και μια εξαιρετική τοποθεσία κάνουν το Hoi An Golden Horse Villa την ιδανική βάση από όπου θα απολαύσετε την παραμονή σας στη Hoi An. I had 2 big windows in my room so the wind was always blowing through. Very nice family, free bikes, good location, close to buses to Danang. Really enjoyed staying there. After reading all great reviews about this place and people running the business, ai have decided to stay for 3 nights. If you loking for something out of old town of Hoi An and dont mind few minutes bike ride which is free, this is a place to stay. The family is very friendly, no hustle with them trying to sell you suits or tours or anything else, but when needed they are helpfull in every way. 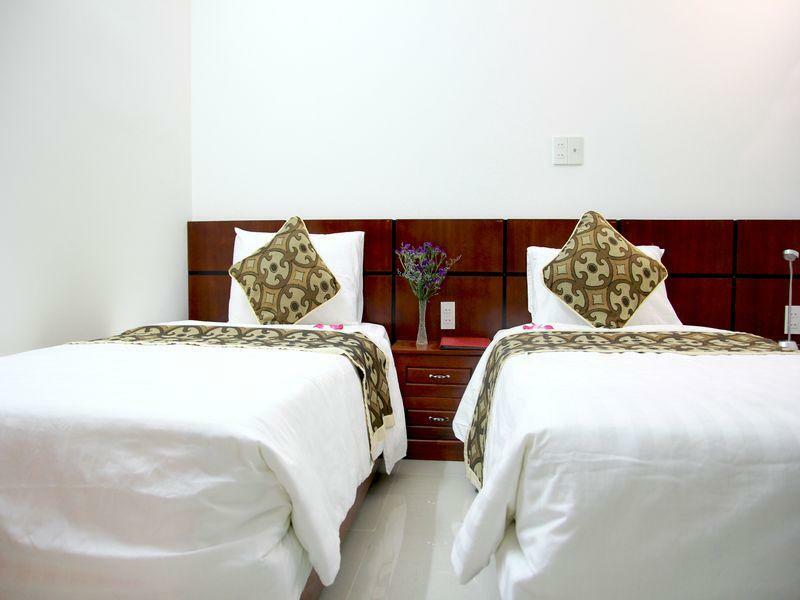 Rooms were super clean, internet worked perfectly, english speaking person always on hand. Needless to say i wanted to stay longer, but unfortunately all rooms were booked. I would strongly recommend this place as it was not only great value for money, on top of that awesome experience meeting the family. Not to mention that when I had to move only 2Km from this place member of family has gave me a bike ride there. Oh and the bikes are sustainable wi5 gears which is great if you wanna do bike tour n your own. This place was very comfortable. Great room. Friendly and helpful staff. I got to use a bicycle for free. Lovely breakfast. I would stay here again. This hotel provides a nice, clean and spacious room. It has a swimming pool. The staff is nice, friendly and helpful to my needs. 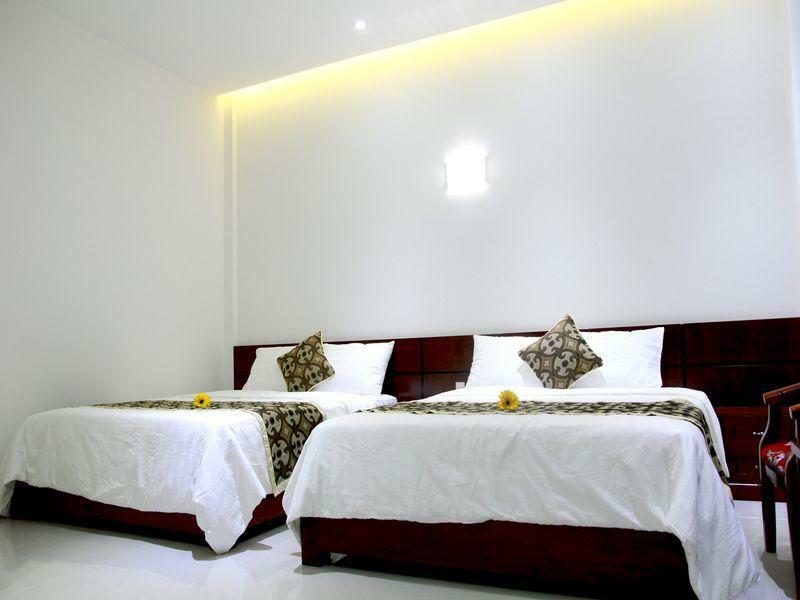 It is located about 150m away from the bus station for the Danang-Hoi An bus that can bring you to several stops in the Danang city centre. 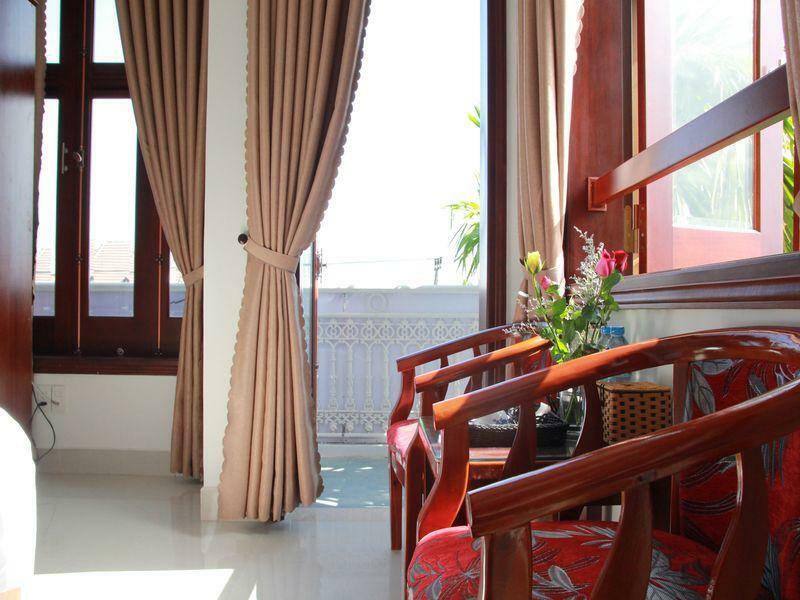 However, it is quite a walking distance away from the buzz at the Hoi An riverside. We were 3 friends, it was cheaper then dorms!! Anazing big room, aircondition, pool, great breakfast, free bikes, super nice family, few minuts walking from the center, super worth it! 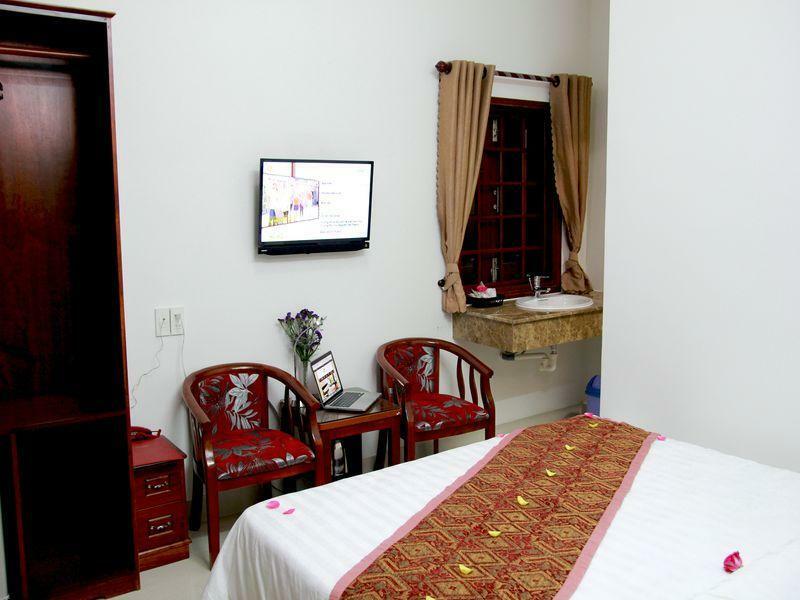 Nearby to the bus depot (bus to Danang) but 20-30 minutes to Hoi An Ancient Town by walking. The building is good (solid build), and it was quiet. In common with many other premises in Vietnam, there should be a shower screen, but the water is hot, with plenty of pressure. Be aware there's no lift. The host was lovely, the wifi worked well, there were many choices for a delicious breakfast, the pool was clean and cool. For me I liked that the Homestay was a few blocks outside of old town. It was quite and they gave you free bikes so you could easily explore the city. Ran by such a lovely family, great rooms, amazing pool, cheap tasty breakfasts and nice bicycles to rent. It was an amazing stay. We stayed here for 4 days and we loved it! The whole family is so nice, they helped us with everything and made us feel absolutely welcome. Every morning we were greeted with tasty omelet, fresh fruit and lots of smiles :) the rooms are clean and comfortable and the pool makes the whole thing even more perfect! The location was great because it’s close to the old town of Hoi An but not in the middle of all the fuzz, so when you go back „home“, you can calm down in a rather quiet area. You can also rent bikes for free to explore the area or walk there (about 15-20 minutes). There are a few restaurants and mini marts nearby in case you‘re not in the mood to go to the city center. Thank you so much for having us, we really hope to see you again one day! The staff was so nice, the breakfast in the morning is amazing for great value, rooms are nice, clean, there is a common balcony, outside pool, bikes to rent to free (5 minutes to the old town and 15-20 minutes to An Ang beach). Would definitely recommend! We stayed 3 nights and loved it. Stuff is amazing, joyful and great. They have the best dog in the world and the atmosphere around the hostel is great. Free bikes, 5 minutes ride to city centre, lovely cafe nearby 'bao's coffee' (2 min walk) which is great. In front of the cafe you can eat amazing noodles soup for 30K. They also have a guitar, helped us book the bus to Hue and prepared food when we left. Overall a top experience. All staffs are very kind. The family make me happy. The cost effective is very high. Good room and good house even with swimming pool and good peoples. 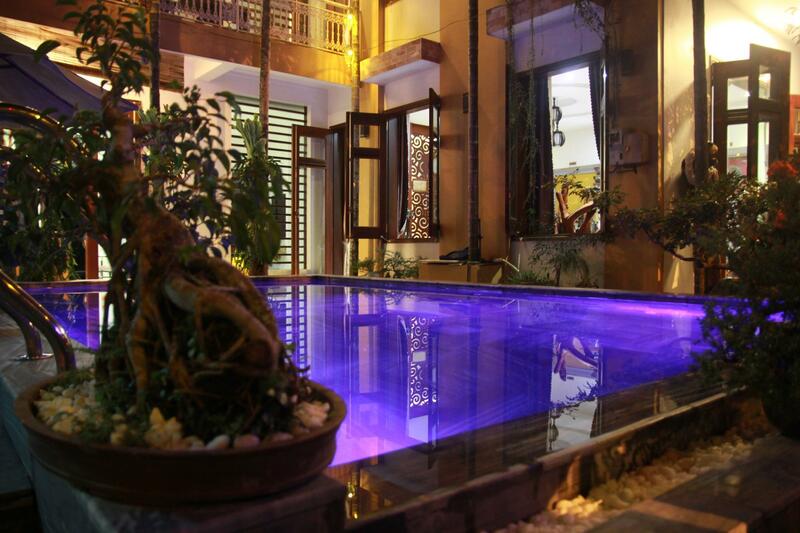 If you will visit hoian, I recommend this homestay. The room was clean and comfortable. The family who owns the place are the sweetest people you can meet. Its 15 min walk from old city but you can takr a bicycle for free or rent a scooter for reasonable price directly at the hotel. The parents dont speak english but the son does speak good english. The mother cooked us omelet every morning and was smiling all the time. We recommend. We stayed here for 3 nights with our 2 boys (9 & 12) & had an amazing time. The staff are super friendly, the family room was immaculate, great shower, air con & 2 extra large comfortable western beds. Their new pool is fantastic, great for cooling down after a day in Hoi An. There are free bikes to take out whenever you like, we went to An Bang beach for the day with them. The breakfast was probably the best we've had in Vietnam, a good choice of food, a drink & fresh fruit, all for under £1. The day we were leaving, we were getting the night train from Da Nang, they let us use the room & pool & check out at 8pm for free. Fantastic place to stay, I'd highly recommend it. Σταθμός Λεωφορείων Hoi An στα 0.21 χλμ.